Affiliate marketing is one of the best and oldest way to make money online. 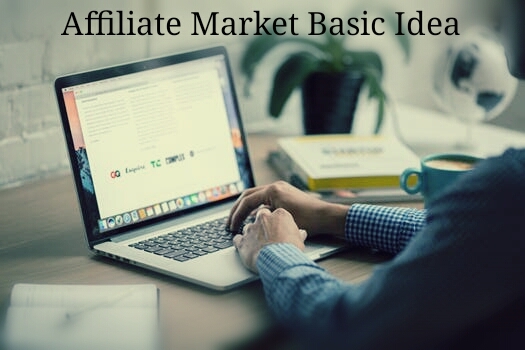 You just need to promote third party company's products or services and you need to make people to buy the product through your affiliate link and earn money when they buy. To start affiliate marketing program you need a website or social media account. Affiliate marketing program is one of the oldest forms of marketing. It is a type of marketing where a business or company promote their products or services through third party ( a third party can be a company or an individual). Affiliate marketing program is the process of selling products or services. When an individual helps a company to sell their products then the company gives commission to that person. The industry has four core players 1. The Merchant also known as retailer or brand, 2. The Network ( that contains offers for the affiliate to choose from and also takes care of the payments ), 3. The Publisher also known as the affiliate, and 4. The Customer. A marketing arrangement by which an online retailer pays commission to an external website for traffic or sales generated from it's referrals. Many online companies who sell products through affiliate program. Can I start affiliate marketing program? Yes, anyone can create affilliate marketing program. To create affiliate marketing program a person must have passion, interest and knowledge about talking, writing, explaining and must have the ability to persuade. If people love your explanation about the products or services then people will start to buy. Skill required for affiliate marketing a person must be able to promote product online using website, social media, videos and ads etc. Make more people to buy the product through your affiliate link. Create Facebook page banner ads to promote your product. Tell people how the product will help them to solve their problems. The more people buy through your affiliate link more money you will make. 1. Select the product which people basically needed then you would be able to sell quickly e.g clothes, shoes, books etc. Choose the product in which you are well conversant with. For example, if you are a dietician then select a product about diet it will helpful for you to explain about the product. There are lots of products available in domain you just need to find a domain which is suitable for you. 2. There are many places to find products or services. Places to find products such as clickbank, amazon affiliate, shareasale, ebay partner network etc. These websites have thousands of products listed from multiple domains. Choose a product that pays you atleast 50% commission on each sale. 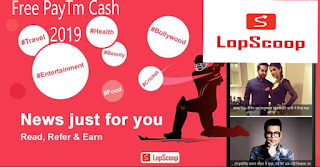 Register with them and start making money. 3. Most product website handle affiliate link generator and payouts so you do not need to worry about how you will get your commissions. Just get your custom affiliate link created by the vendor and start promoting it. 4. If you want to earn instant money from affiliate marketing try to promote your affiliate link on social sites such as Facebook, Whatsapp, You Tube, Twitter, Digg, StumbleUpon and Reddit etc. Clickbank is huge and it's been in the game over 17 years. Clickbank focus is digital information products. As one of the largest online retailer. Clickbank has a vast library of over 6 million unique products in order to reach 200 million customers around the world. Formally buy.com, rakuten.com has grown into a monster. Rakuten ranks among the top three ecommerce companies in the world with over 90,000 products from 38,500 shop owners and more 18 billion customers. Formally commission junction, CJ Affiliate By Conversant reaches millions of consumers shopping online through their affiliate marketing network. The conversant inc, companies include commission junction, dotomi, greystripe, mediaplex and valueclick media. Amazon.com needs no intruoduction. Amazon is an American electronic commerce and cloud computing company with headquarters in Seattle, Washington. It is the largest internet based retailer in the United States. It's affiliate network called amazon associates. Which allows you to tap into over a million products. Shareasale has been in business for 15 years, exclusively as an affiliate marketing network. Their technology receives accolades for speed, efficiency and accuracy and their reputation as a fair and honest business is well known within the industry. Many marketers do not even know that eBay has an affiliate network. eBay has now been online for over 20 years. The eBay partner network provides first class tools, tracking, and reporting. Also read how can I start an online business for free. Affiliate marketing is a good way to start making money online. You can utilize professional marketing services will be able to generate revenues because it will help you in targeting the potential audience for your business. The PPC and facebook ads services is best way to attract your audience.